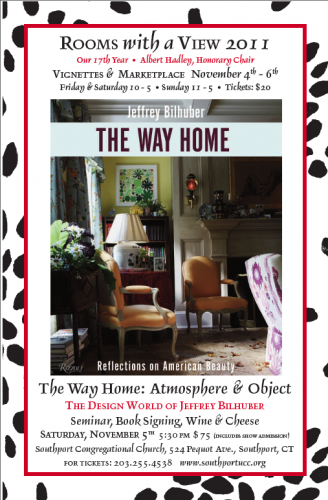 Another reason to visit Rooms with a View this weekend is that distinguished designer and author Jeffrey Bilhuber will be at the show for a seminar and book signing. 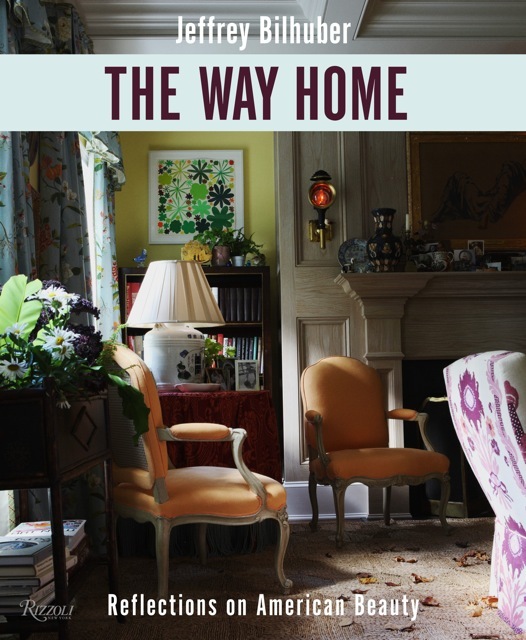 His recently published book, The Way Home, Reflections on American Beauty has been receiving wonderful accolades. With over two hundred beautiful photographs by William Abranowicz, this volume walks us through twelve of Bilhuber’s recent projects. What makes this book unique in the crowded category of design books is that each home is presented as a story, relating the way in which the families live within the spaces and Bilhuber’s process of creating these environs. Bilhuber presents the lived-in essence of each home, conveying the nuances of experience in the spaces. 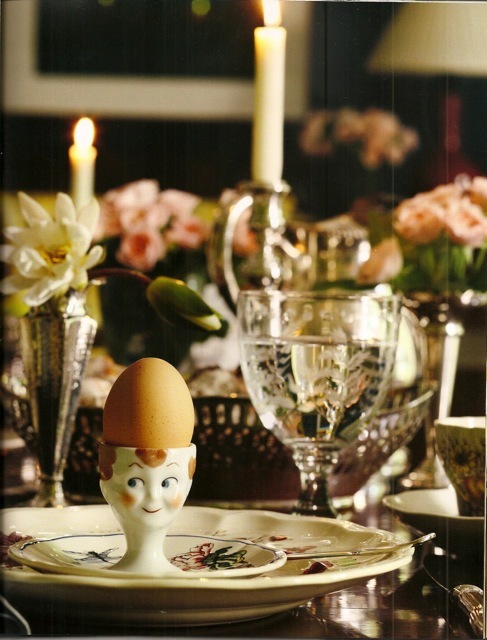 Even small vignettes capture moments and memories of domestic pleasure. It isn’t the slick styled shots from a glossy magazine presented here, but rather slices of life, representing what home means to the lucky inhabitants of his spaces. And it is this process, of creating not just beautiful designs but places that evolve with their owners, and become a part of them, their families and their history, that make this book and I would imagine Bilhuber’s seminar something special. 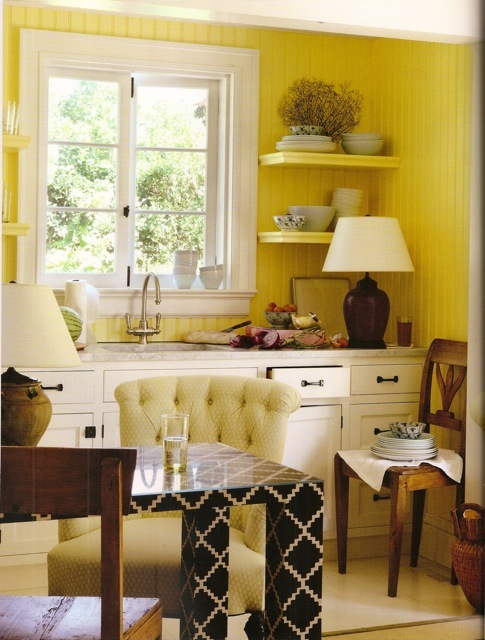 This entry posted in books, design, interior design. Entry Tags: Design Books, interior design, Interior Design Books, Jeffrey Bilhuber, Rooms wtih a View, The Way Home Bookmark the permalink. This book has been on my wish list since I first read about it. Like you, I love the philosophy behind it! I will definitely put this book on my wishlist! Have a wonderful weekend Stacey! Love Jeffrey! Did you know he was the original designer of our offices in NYC? The book is on my wish list and would love the chance to get up to Rooms with a View! I’ve always admired the work of Jeffrey Bilhuber and now even more. Client driven design is always most challenging. Having a home speak of it’s owners and place is really what it’s all about as opposed to recreating a designer’s own look again and again and again. I cannot wait to see this book and I HOPE his book tour comes to Texas! I knew Jeffrey Bilhuber from my long ago days working at Malmaison Antiques with Roger Prigent. The photos in this book are to die for. 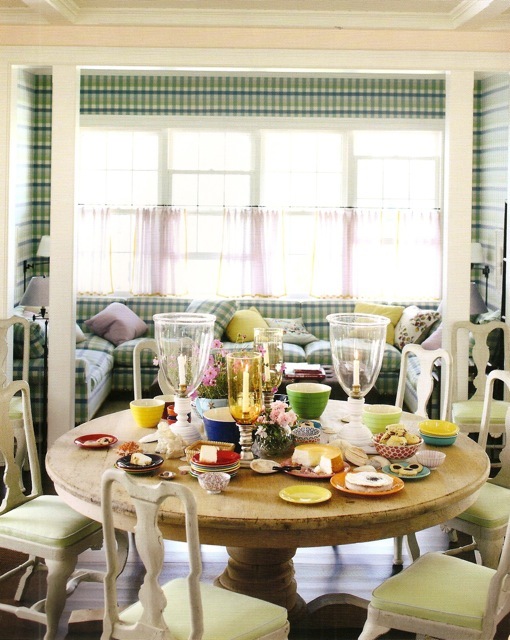 Would I not LOVE to have all of those covered tureens? Thank You for this beautiful post. 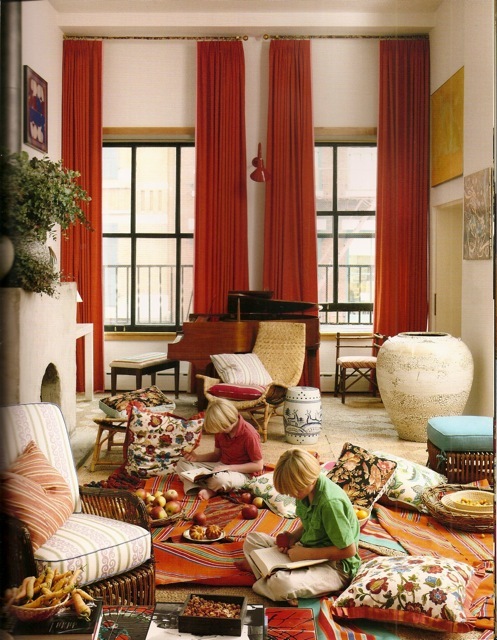 There is a certain pop or quirk in these interiors that lures me in. I know I would love to have this book….it would be on my bedside table! 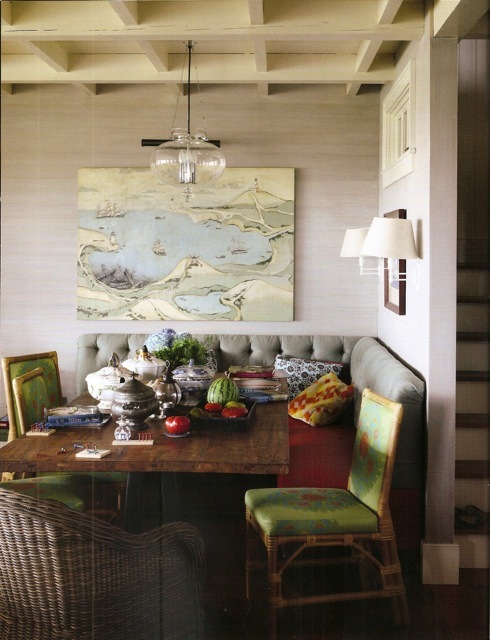 How stunning are the colors, the touches of whimsy! This is the “look” I love. After seeing and reading this post, I am definitely interesting in putting this book on my Christmas list! … especially: “narratives of self”” as a way to explain the relationship of who we are and how we live and where we live. Beautifully put. Yes, please! Thanks for the heads up Stacy, looks like a wonderful book that will fit right in with my growing collection of deisgn books. 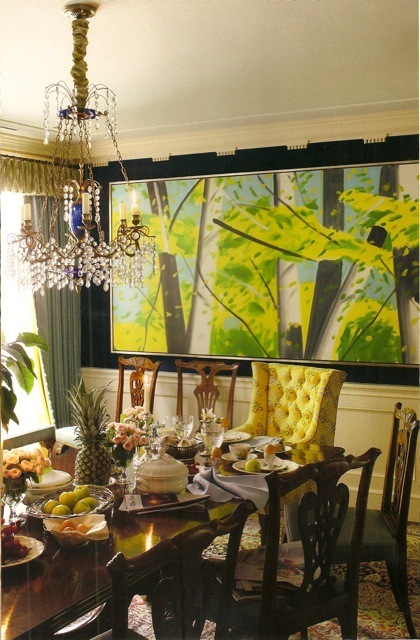 That dining room is fabulous! Such colours that make you smile…..looks like a wish list book for sure! how cool is this!!! hope you had a great weekend! 79 queries in 0.601 seconds.